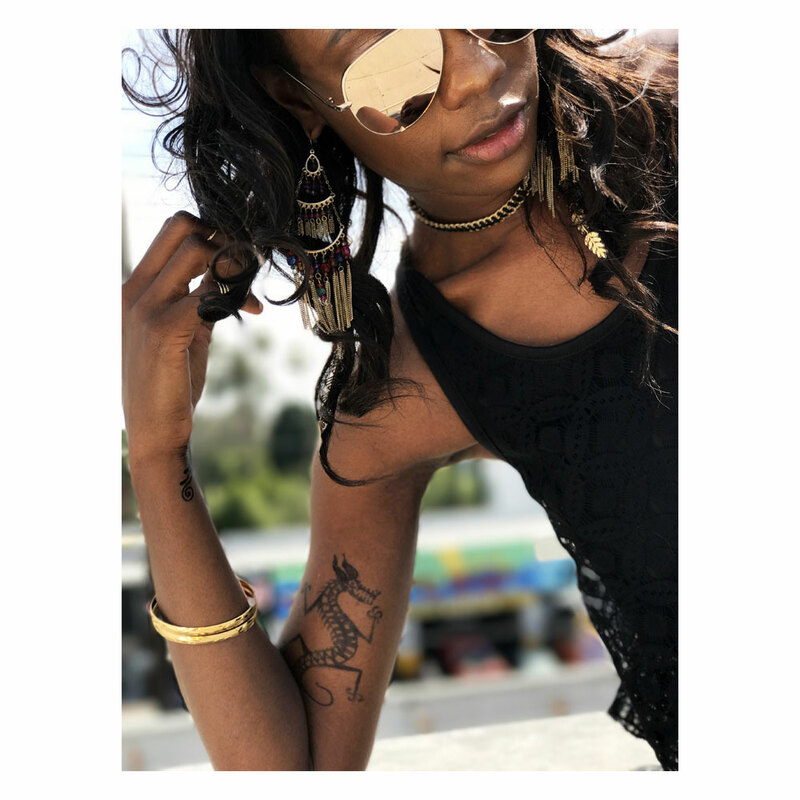 The Earth Jagua® Classic (Black) Kit comes with everything you need to create beautiful temporary tattoos that look just like the real thing—plus a few extras. Water is added to the freeze-dried jagua juice, which is then mixed with a base gel. 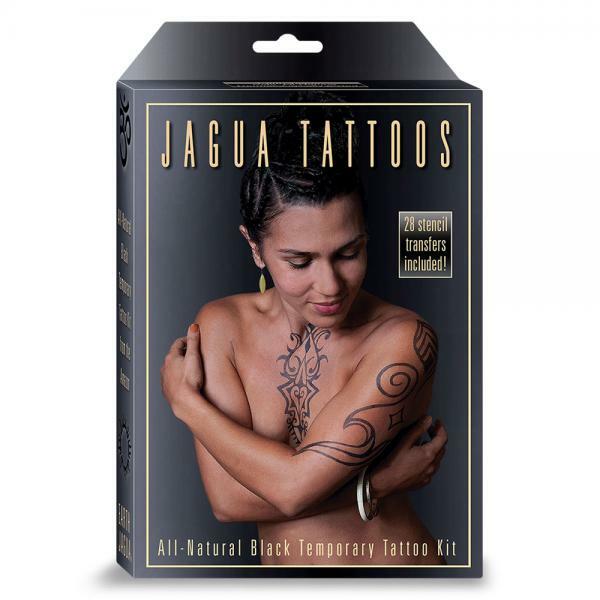 The jagua gel is transferred into a soft plastic applicator bottle with a fine tip. 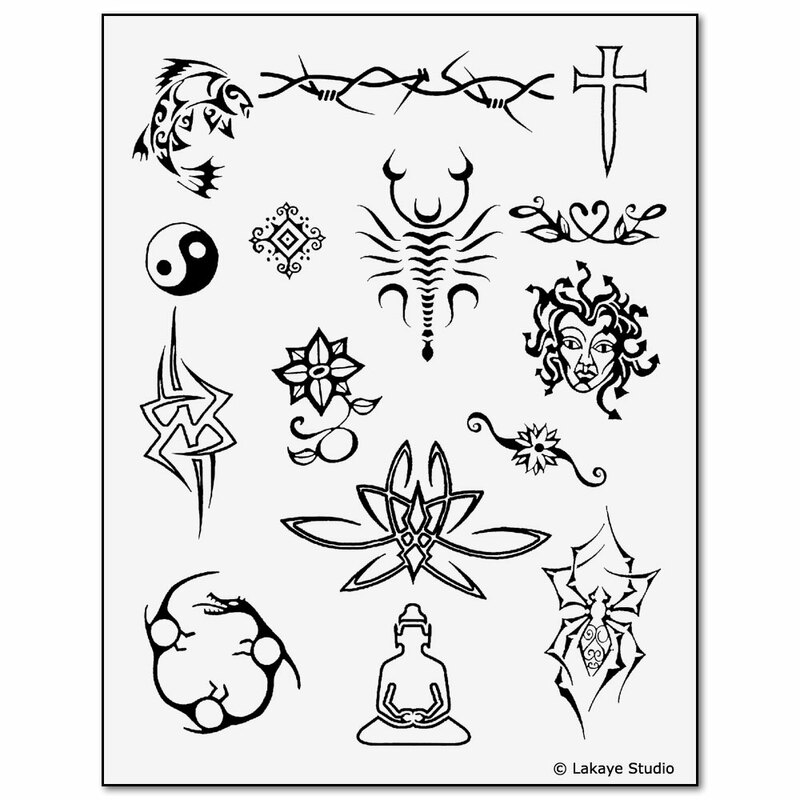 To create temporary tattoos designs, simply squeeze the bottle to release the jagua gel. Watch our tutorial video below! 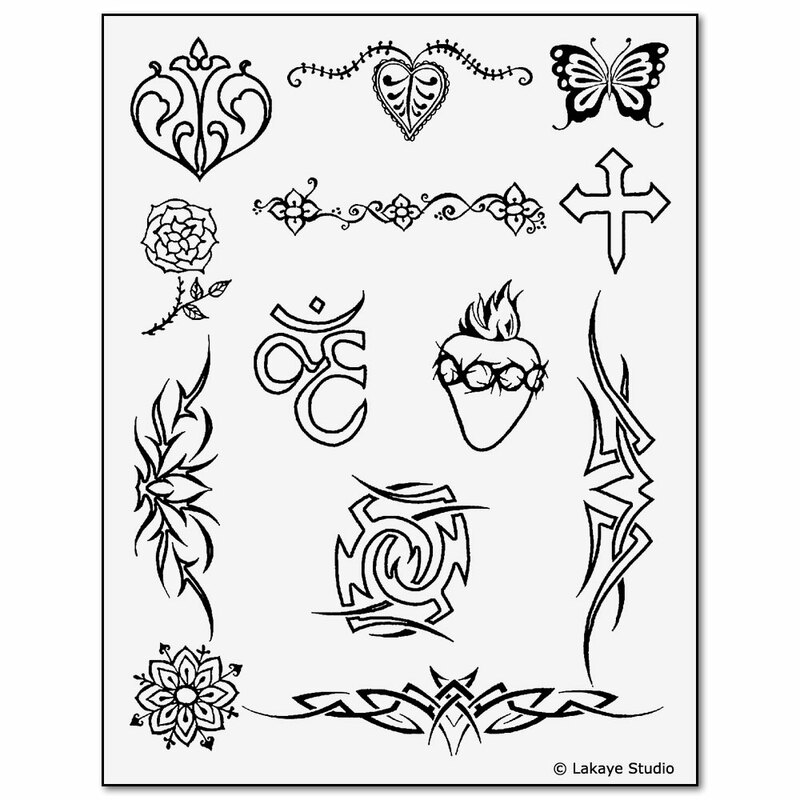 Enough jagua to create 15–20 temporary jagua tattoos that last 10 days to 2 weeks on skin. Includes applicator bottle and 1 fine tip—just like the pros use. 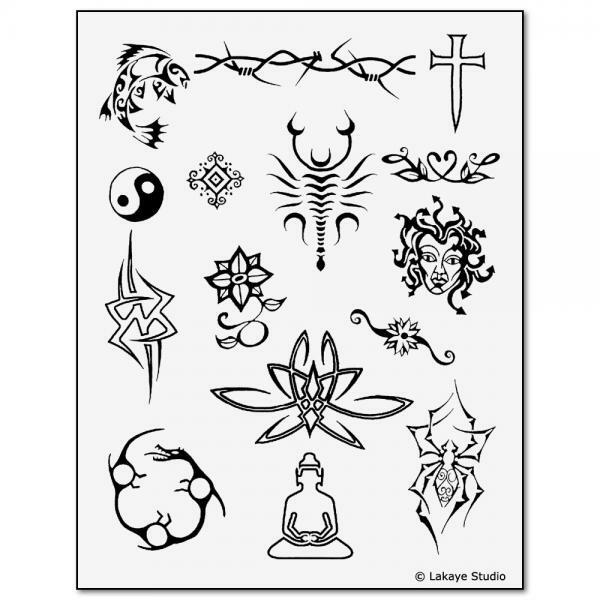 Comes with 28 stencil designs (on 2 transfer sheets) that are reusable 5 times each. Jagua Gel lasts 2–3 months, when refrigerated. 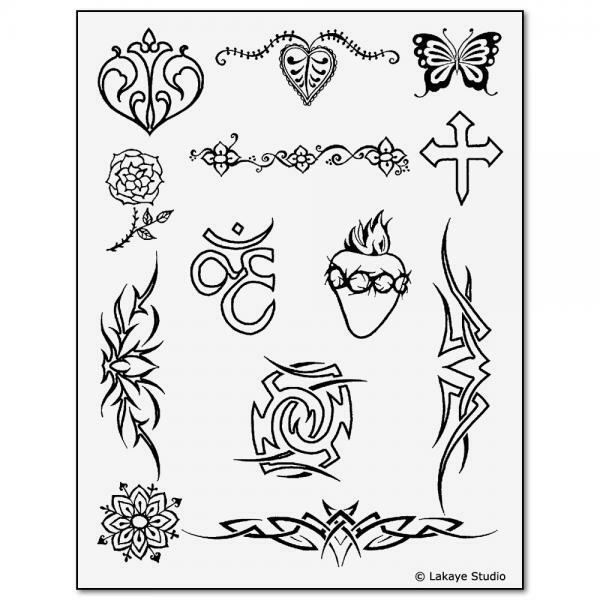 Perfect for creating gorgeous temporary ink tattoos and festival body art. Cut tip of Earth Jagua® Base Gel foil packet. Open plastic cone and place in a cup. Squeeze Base Gel into cone. Using dropper, fill bottle with water to top of sticker. Shake until dissolved, and pour contents of bottle into plastic cone. Reseal and massage contents of cone until smooth. Push gel toward small tip of cone. Cut small tip of cone, and squeeze gel slowly into bottle until full. Twist cap outfitted with tip onto bottle. Follow test patch instructions provided in “Health Recommendations” below. Create design on skin by gently squeezing bottle to release gel. Peel off Earth Jagua® Gel from skin with fingers. YOU WILL SEE VERY LITTLE COLOR WHEN YOU REMOVE THE GEL. THIS IS NORMAL! Blue/black color will fully develop in 24–48 hours. Start with clean, dry skin. Remove any lotion. Remove Earth Jagua® Gel before going to bed. For first night only, wrap or cover the area with bathroom tissue and tape to avoid staining sheets or other areas of your body with which it may come in contact. When creating tattoo, use toothpicks to even out lines. Jagua stains very quickly. Wipe off all smudges immediately. To avoid clogging, soak metal tip in hot water after use. Before storing, squeeze air out of the bottle and twist cap on. Avoid saunas and steam rooms, or you can cover the tattoo with Vaseline. Avoid skin scrubs and exfoliation products. Wash and dry tattoo area gently when showering. 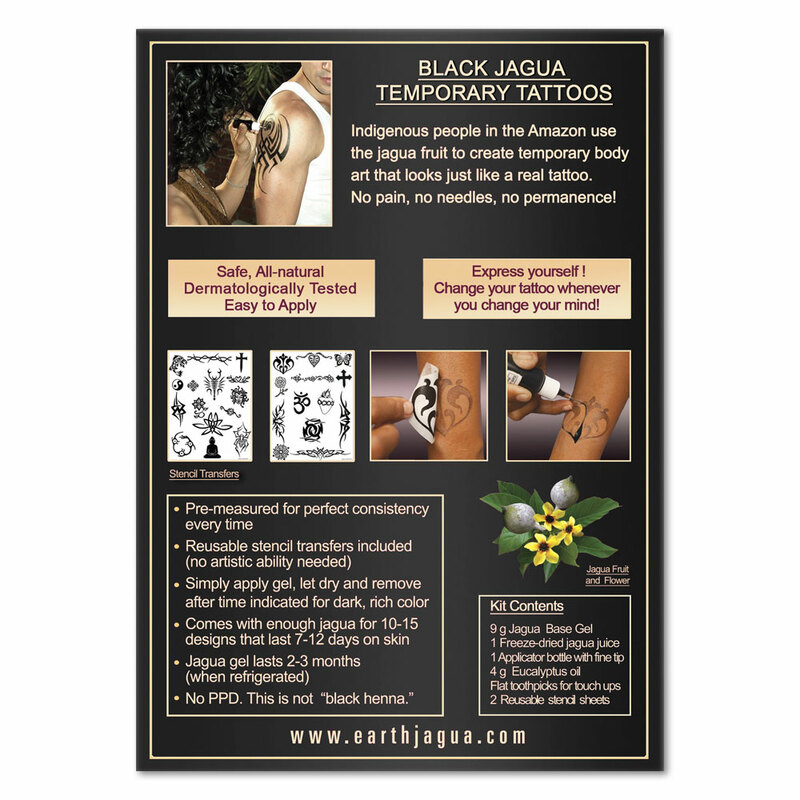 Earth Jagua® does not contain PPD or any other toxic chemicals. 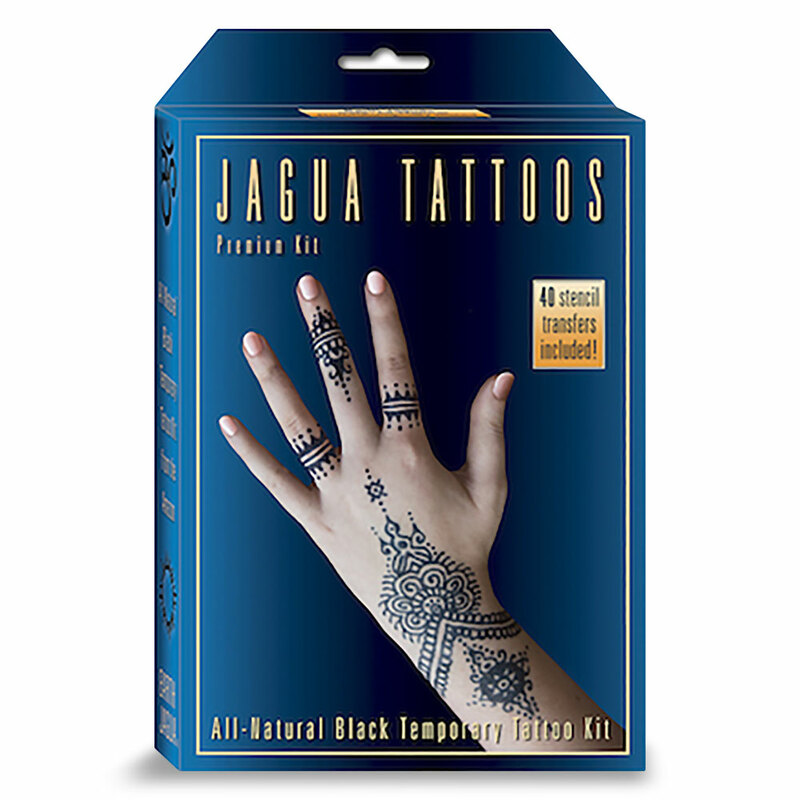 Earth Jagua® is not “black henna” nor does it contain henna. Using Earth Jagua® is totally pain-free. Earth Jagua® shows up perfectly on dark skin. No trees were cut down to create this product. The fruit used would naturally fall to the ground and rot. We have helped to create a cash crop for the Matsés people in the Amazon. Before using Earth Jagua® Gel, test product on small area first. Place a small amount of product on the skin; leave on for 2–3 hours and rinse off with water. Wait 4–5 hours before proceeding. JAGUA IS A FRUIT. If you have any known allergies or sensitivities, or are taking any medications, check with your doctor before using Earth Jagua®. Earth Jagua® is a strong dye. We recommend waiting until tattoo has completely disappeared before making a second application on the same spot. All persons using Earth Jagua® should check the ingredients list for potential allergic reactions. For external use only. Earth Jagua® should not be taken internally.